MasterPiece Church: Let the ADVENTure begin! Change of plans!!! We'll get back to talking about the vision for MasterPiece once we get to 2010. I want to shift gears slightly and do some fun holiday-related family-oriented projects during our Sunday night gatherings. The next gathering is scheduled for 5 p.m., Sunday, November 22nd, at the home of Jack and Donna Johnson, 5116 W La Mirada, Laveen. I'll be telling a story and we'll be working on a pre-Advent project together -- something kids will really enjoy. But you certainly don't have to be a kid to get into it. We're going to be having an ADVENTure. 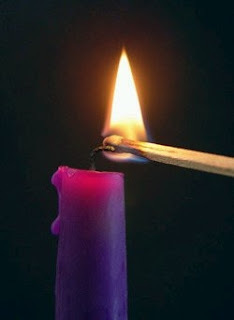 So, just what is Advent anyway? If you're interested in joining us contact me, Pastor Brad Boydston, for details and directions.